Designed by renowned French designer Monsieur Christian Lacroix, this opulent ceramic sculptural vase features the "Neo Arbre de Vie" emblem created exclusively for SO/ Bangkok, a stunning interpretation of the Tree of Life. 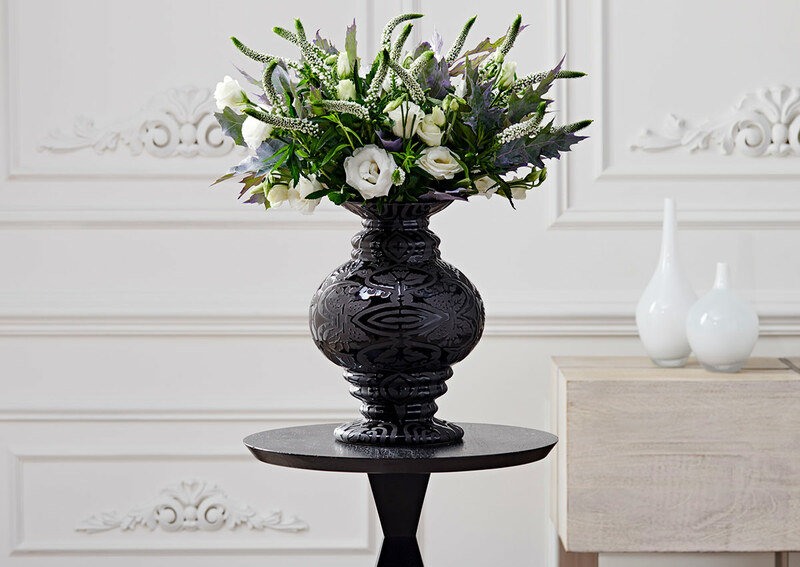 It's rendered in exquisite textural detail with matte and gloss finishes for a powerful yet peaceful statement at 11 inch high, whether as a dining table centerpiece or foyer objet d'art. Visionary fashion designer Monsieur Christian Lacroix is known for his opulent, exuberant haute couture collections and lifestyle goods, which masterfully combine inspiration from baroque design, theatre and folklore. At SO/ Bangkok, Monsieur Christian Lacroix’s uninhibited imagination graces every detail of the hotel, from captivating staff uniforms and a dynamic lobby installation to his vibrant fresco in the Club Signature lounge. An ancient symbol of immortality, Monsieur Christian Lacroix's "Neo Arbre de Vie" reimagines the tree of life with the flamboyance and elegance of French Gothic architecture for a striking emblem unique to SO/ Bangkok.